Born and raised in the Outaouais, Christine LaCasse has over twenty years of experience representing accident victims and their families. Fluently bilingual, Christine handles all types of personal injury claims including motor vehicle accidents, wrongful death claims, slip and fall accidents, waterpark and amusement park accidents, disability claims, sexual assault claims and historical abuse claims. Christine cares. She cares about her clients’ physical and mental health, the quality of her work, and obtaining for her injured clients and their families the highest possible financial awards or settlements. Christine understands that accident victims need to devote all of their energy towards their rehabilitation efforts and to coping with pain and their changed circumstances. Dealing with paperwork and the red tape associated with insurance claims is frequently overwhelming for injured persons. Having worked both for and against insurance companies, Christine knows how to navigate the complex world of insurance and has no difficulty viewing both sides of a dispute. In April 2010, Christine was appointed a Deputy Judge of the Ontario Small Claims Court, where she presides over a wide range of civil disputes, including personal injury and insurance matters. Christine brings to her law practice the same pragmatic, balanced and reasonable approach she brings to the Small Claims Court bench. For more than two decades, Christine has advocated on behalf of clients in a broad range of practices areas including family law, child protection, and civil litigation. Since 2000, she has represented various Children’s Aid Societies, primarily in appellate matters. Commencing in 2013, Christine supplemented her busy personal injury practice with insurance defence work in the areas of school board liability and professional liability. Over the years, Christine has honed her negotiation and conflict resolution skills practicing family law, attending hundreds of mediations, presiding over several hundred Settlement Conferences as a Deputy Judge and, most recently, by completing the Advanced Alternative Dispute Resolution Workshop offered by Stitt Feld Handy Group in association with the University of Windsor. Christine is a member of the Law Society of Upper Canada, the Ontario Trial Lawyers Association (OTLA), l’Association des juristes d’expression française de l’Ontario (AJEFO), the County of Carleton Law Association and the Ontario Deputy Judges’ Association (ODJA). Christine is married and has three wonderful children. Christine, you kept my spirits up over the many years and made me realize that I would see the light at the end of the tunnel. You imparted much advice and wisdom. It was a pleasure to have worked with you. I would like to thank you for having booked a room at the courthouse and having spent your whole afternoon participating in this activity. I know that you are extremely busy at work and with your family, so I appreciate what you did even more. The students really enjoyed their experience. As you will have noticed, there is still much work that needs to be done; however, your comments were relevant and very useful. It is good for the students to receive important feedback from a person with practical knowledge. I think they realized that arguing a case before the Small Claims Court is not as easy as it may seem! I believe that this activity was for them the climax of their training. For them, being able to plead their case before a judge like you made all the difference! Thank you for everything! A few years back, my spouse and I were in need of legal services. That is when we met Ms. Christine LaCasse. Ms. LaCasse, a very professional lawyer with high legal skills, met with us and took the time required to discuss the details of our situation. She gave us advice and immediately took charge of our case. Ms. LaCasse was able to maintain a daily control over the legal steps while making sure to inform us regularly of the various procedures. We certainly felt like we were in good hands throughout those legal steps. It is without any hesitation that I would recommend Ms. Christine LaCasse to my family, friends or anyone else in need of legal services offered by a reliable and professional law firm. I want to thank you for all the work you’ve done on my behalf since last fall. I am very happy that I chose you to assist me in my dealings with the insurance company. I would not hesitate to work with you again! That being said, I hope not to have another accident any time soon. Thank you again. Christine LaCasse was an important ally during the two and a half years it took my case to unfold. She was able to give me relevant advice given her great experience in the field. We communicated extensively at each step in the process and she made it clear and easy to understand the legal subject matter. She took the time to explain everything to me so that I was able to make informed decisions throughout the process. During the mediation session and the pre-trial conference, her extensive knowledge became very useful; had I been alone, I would have taken the wrong path and agreed to a settlement much less favourable than the one I obtained. The slow pace of the legal system is not always easy to accept especially given that as regular citizens we aren’t knowledgeable about the beginning to end workings of such a system. There were moments when I was discouraged, but Ms. LaCasse, with her sound advice was able to guide us towards an excellent decision and a very good agreement for both parties. 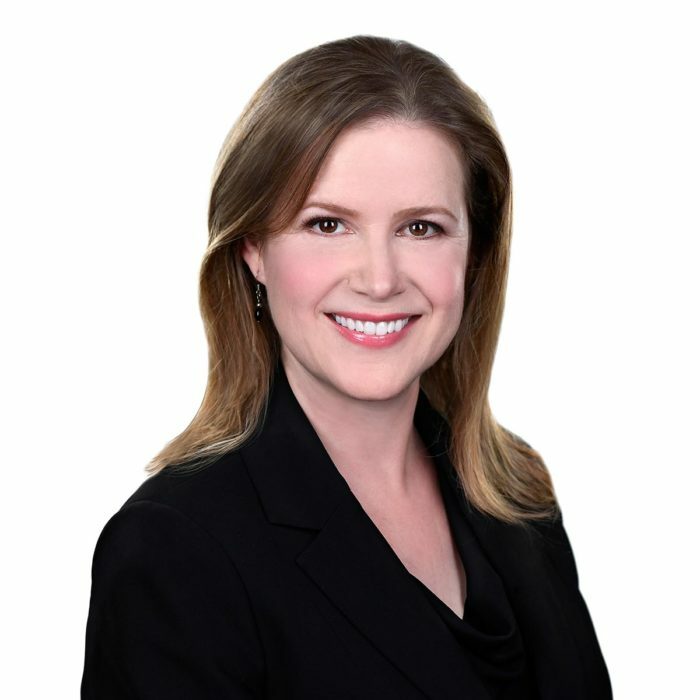 If you ever find yourself in need of a lawyer, Ms. Christine LaCasse will be able to provide you with great advice and will make herself available at any time to answer your questions, just like she did for me. Christine, THANK YOU for everything you did for my family and I. Thank you Christine. I want to express my appreciation for your offer to settle document – it was superb. You captured my position exactly, revealed the balance of concessions and requirements beautifully and put enough “teeth” into our position to make it the most level playing field for negotiations yet. I highly recommend Christine LaCasse to anyone looking for a litigation lawyer. Having counsel who is professional, knowledgeable, approachable and treats you with understanding and compassion during this time was a blessing. J’ai aussi beaucoup apprécié le fait que Madame LaCasse est bilingue, car souvent, dans des situations émotives, on ne peut s’exprimer que dans sa langue maternelle. Your appeal work is exemplary, so much so that I have referred several sister agencies to you. I have always found you to be meticulous in your work, with a particular attention to detail. You are typically ultra prepared for the hearing, whatever it may be, and your demeanour in Court is very respectful and professional. I am a lawyer and I hired Christine LaCasse to argue an appeal. I found Christine to be experienced, professional and pleasant to deal with. Christine had a common-sense approach to the issues and to the parties involved in the matter. In preparing and arguing this rather complicated appeal, Christine was well-researched and organized. She had a solid grasp of the issues and was able to deal in a professional manner with the often difficult questions posed by the opposing party and the Court. It was a pleasure working with Christine and I am happy to recommend her. Christine LaCasse took over my personal injury lawsuit from another lawyer. The service we received from Christine was outstanding, and resulted in a very successful win. Christine was very professional, organized and caring, and she made my family feel comfortable throughout the whole process, which was entirely new to us. I highly recommend Christine to anyone who is looking for an experienced, efficient, results-driven lawyer.